SENANGA District Commissioner Vivian Mubukwanu has called for transparency and accountability in the utilization of the financing to the Pilot Project for Climate Resilience (PPCR). Speaking during the district level sensitization meeting on additional financing under PPCR, Mubukwanu said Senanga has vast potential for various value addition economic ventures and urged stakeholders to come up with business proposals that will trigger development in the area once implemented. He said that any government projects in the district should be utilized by all. “Additional resources are trying to incorporate everyone on the seventh national development plan as it aims at not leaving anyone behind,” he said. He stated that the project was aimed at job creation for all in the district in order to transform the area. Mubukwanu further cautioned the project implementers to ensure the program is corruption free. Meanwhile, PPCR project manager George Sikuleka urged Senanga residents to utilize the additional funds for tangible business ideas which should translate into viable business ventures. 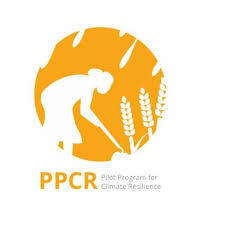 PPCR has received additional funding of US$14.6 million for project funding of the programmatic approach of the Strategic Program for Climate Resilience (SPCR). The project is being funded by the World Bank to improve the livelihoods and resilience of rural communities.